The death of Carl Williams has predictably been covered as if it were an episode of Underbelly. It comes complete with reminders of past episodes, pictures of the central characters, enticement by future developments of the plot, and a heavy voice-over reinforcing the moral message that what goes around comes around. What has been lacking is even a moment in which we are invited to pause in solidarity with one of our fellow human beings who died unprovided for in what should have been a safe place. Carl Williams certainly killed without remorse, causing grief to people who had not hurt him, and was rightly jailed to protect society and to assert the fragile rule of law. But he was a human being like ourselves, with a humanity whose essential dignity, like our own, could not be erased by any of his misdeeds. A few years ago a banner outside a Melbourne Cathedral bore the message: 'God loves Saddam Hussein'. It caused offence, but for Christians the message was non-negotiable. So is it non-negotiable to claim that God loves Carl Williams. This sense that we all share with criminals the heart of what makes us human, and that the death of every human being diminishes us, is difficult to sustain in a culture which regards celebrity as a desirable commodity and then turns criminals into celebrities. Celebrity privileges plot over character. Celebrities are what they do, whether what they do involves making money on a grand scale, showing great skill at kicking large leather balls, acting for film or telly, accompanying people who do any of the above, or being photographed by the right photographers. The core of their humanity is obscured, indeed is of no interest. It cannot be commodified. The same is true of people who are made celebrities for doing dark deeds. Hitler, Saddam Hussein, Pol Pot, Stalin, Jack the Ripper and modern serial killers are identified with the terrible things they have done. They are seen as monsters because of the monstrous effects their actions have had on others. Their real self is not seen. The same is true of Williams and the other criminals who are portrayed in Underbelly and similar series. They exist for the plot; are the colour of their black hats. The difficulty with viewing people as celebrities is that we shall see what happens to them only in terms of the plot. The famous tennis player who contracts cancer will be reduced to the exemplary one who fights her illness as she once fought her opponents. When celebrities who have treated other people violently suffer themselves from violence, their suffering is approved because it is an expected part of the plot. It shows crime does not pay. This focus on externals, on what people do rather than on who they are, is ultimately demeaning. It reduces them to comic strip characters, and ourselves to readers of comics. Williams deserves better than this, not simply in recognition of his humanity, but also for our sake. The quality of our society is at stake. If we see Williams' death simply as the just or aesthetically satisfying end of his public story, we effectively accept that jails are properly places where righteous punishment for crimes can be meted out, even outside the law. They are defined in terms of retribution. They will not be seen as safe places where it could be possible for prisoners to reflect on their lives and learn better ways of living. The scandal of a prisoner who was known to be at risk being killed in a place to which he was sent against his will in the name of public safety will be overlooked. We ought to expect more of jails than this, because human beings are more than what they have done, because their destiny is not scripted by their story, and because Carl Williams and his life matter. Andrew, among the many fine pieces you have contributed to Eureka Street over the years, this must rate as one of your best. Spot on! Andrew's article is very necessary when callers to talkback radio object to members of Carl Williams' family being interviewed about their grief. Anger replaces compassion. I found it touching to see a grab on TV news in which Mick Gatto was asked, provocatively, for his response to Williams' death and would only say that he felt sorry for Williams' children. Well said Andrew Hamilton : " Williams deserves better than this, not simply in recognition of his humanity, but also for our sake. The quality of our society is at stake. " Fine words indeed. The day we. as a society put such fine notions into practise all the time will be the day we do not behave as we do and you will not need to write further articles about anger overwhelming compassion. Quite right! God bless you. Hamilton's article strikes a chord in my heart. Too often have we forgotten that above anything else, 'charity' is the fundamental essence of our Christian belief. It's clear from the crowd's baying for blood at Carl Williams' death that we have not moved too far from the those who flocked to watch the execution of criminals in Highgate. This should be of great concern to us, a relatively speaking young nation full of energy, vigour, dreams and hopes that has in less than 200 years returned to the barbary of the 19th century. Williams' death reminds us to strife for a better and civilised society and it must begin from both ends of the social spectrum. I see this as a wakeup call for many Catholics in their private and public life. You have highlighted what is lacking in our society. Excellent article. There are so many threads intertwined in the death of Carl Williams and Andrew Hamilton's christian reflection on it that I hesitate to single out one but one I must - the cult of celebrity.The celebrity provides us all, to some degree, the vicarious pleasure of being beautiful, rich, talented, powerful, artistic, amusing - whatever turns us on. The celebrity criminal appeals to our unconscious/subconscious desire to be free from the strictures of living in a society that constricts us with petty laws and red tape. The mass media try to satisfy these desires, knowing that they are insatiable. And when the celebrities come to grief, whether it be in a drugbust, a messy divorce, a public disgrace, a murder, we can say, following the media's lead: they had it coming to them. And we have a momentary catharsis that we didn't follow their path. But as all "the experts" are saying about Carl Williams - someone else will come along to fill his shoes. And so the cult of the celebrity criminal will be revived. May the soul of Carl Williams rest in peace. I echo the other comments here. I'm glad someone is saying this, especially in light of the disgusting attitude by Melbourne's tabloid media. My take is that this was a tragic life which ended in tragedy. It was probably not surprising that Williams' end came like this, and I think it does show that crime doesn't pay. But that does not take away from the fact that God did indeed love Carl Williams. But if anyone says that publicly they are immediately seen to be a sympathiser with his actions. Thanks Andrew for reminding us that human dignity is not removed from people's actions. Thank you, Andrew. A timely and necessary reminder that Carl Williams was a human person. When the bell tolls, it tolls for us. I don't think you'll get much "solidarity" from the wider community, Andrew. There was nothing ennobling about the way Carl Williams lived his life nor his death. One radio commenter said "he won't be missed" and as terrible as that sounds, that is the truth. Andy, excellent once again. Needed you to come good in case someone asks me for a comment. My hasty responses are risky. Yours are deep and meaningful. Thanks. Bob Maguire. Although I agree with the views put forward by Andrew I think that it is important to realise that the protection of people's rights comes at a huge cost. The absolute protection of Carl William's life would come at a huge cost to society which would involve sacrifice in the area of looking after the aged, infirmed (and other equally important and under resourced areas) as well as we currently do. The allocation of our restricted financial resources requires the wisdom of Solomon as we see with the current attempts at health reform. How do you decide how much money we should allocate to protecting the life of a convicted murderer and a cancer sufferer? Perhaps a good time to reflect on our relationship with the media!! So Carl Williams death, and its treatment in the media is what the majority of our community want...this is what makes money for the media barons and as a community we are supporting this trash. Where do we begin to effect change? A good article and no doubt Eureka Street will afford Tony Abbott the same consideration. It is for articles like this, that provoke more considered thought, that I need Eureka Street - a quintessential contribution. Thanks, Andrew. Thank you once again, Andy, for expressing what many ordinary human beings have been feeling since carl williams' death. I kept thinking of his young daughter and how she will feel in the future if she sees or reads even one tenth of what has been shown in the media. I just want to thank you Andrew for expressing a Christian view so well.You have made me reflect on my own mixed response when first I heard the news. I am the better for being confronted with what you have written. Thank you once more. Excellent article ,thank you for it. Well said, Andrew.The best argument I have heard for, "No death penalty " is, "because we are better than that". Thank you Andrew for this article. When I heard of Williams' violent death while in custody, I was shocked and saddened that his life had ended this way. Some say "what can you expect, he deserved it" and the equally horrific "good riddens to bad rubbish" which I heard several times today - this callous disregard of the humanity of another is frightening. While I understand that there was not very much about Williams' actions in life that were ennobling, I'd like to say to Nathan the truth is that Williams will be missed -by one of which I am sure - his daughter. Thank you Andrew. My concern is that since we as a society have officially given up barbaric punishments such as the death penalty, many people feel happy to "outsource" this monstrous task to the outcasts of society ie prisoners in the penal system. Thank you Andrew Hamilton. Your commentaries are gems with sparkles of clear thinking, humanity and the real stuff of Christianity. This one was a beauty. Also, I smiled with pleasure at Bob Maguire's comment - I'm in your boat Bob. Once again, Andrew Hamilton reminds us what being human and what being christian are all about as well as demonstrating what is inherently wrong with the cult of celebrity. Thank you, Andrew. Thank you. In death we are all equal and belong to God who created and redeemed us. Another good article to again balance the garbage of the mainstream media. Thankfully we have some media outlets, such as Eureka Street, ABC Radio National, Community Radio 3CR and Community TV Channel 31, to provide this balance. Unfortunately, the popular mainstream media like to focus on the bad aspects of the lives of celebrities such as drug dealers and sports people. Credit is never given to their good deeds. We rarely see the good work done by people in remote area Aboriginal communities and poor communities in places such as India, Pakistan, Nepal and Bangladesh. Most Australian people do not appreciate how lucky we are. There is no material poverty in any city or town in Australia because we have a reasonably good social welfare system which provides a government income and a safety net of services provided by the various Charity organisations. Well said Andrew, but my mind could not but race to the similarity of our treatment of the boat asylum seekers now landing on our shores fleeing (like Jesus to Egypt) to a country that protects our untold wealth as a dog in the manger and failing to recognize the great contribution of the Vietnamese, Cambodian, Sudanese etc refugees now surgeons, politicians, teachers, footballers etc, and also it makes me admire the sessions of the Khmer Rouge Trials currently in Phnom Penh that I have attended with rule of law, ample chance to state both sides of cases within the newly built prisons and high security court rooms. Not for a moment do I condone Pol Pot and his, or the Nixon Kissinger bombings of Khmer villages, or the Vietnamese invasions or the utter disruption of he local economy by the UNTAC, but there is much to admire about the process of he KR Trials. Initially I was critical, but now recognise them as healing. 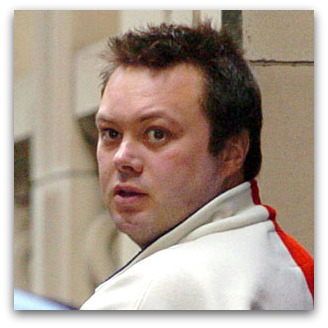 Carl Williams was a bad person - full stop. But we should all be concerned about his death and a royal commission is needed. He was killed in secure solitary confinement while the screws looked away for half an hour. He was murdered just hours after it was revealed he is on the police payroll. It seems he had some very valuable information to sell about corruption in Victoria. His death is a political scandal but John Brumby says an inquiry would be a waste of money because Williams he was serial murderer. Something smells very fishy. Thank you Andrew for your thoughts and words on a subject where so much has been written and so little said. Your writing, as always is profound and of great comfort. It is another death and that is unfortunate. Carl Williams was in gaol and that is unfortunate. He was in a special part of the gaol because he could not be put with anyone else. That is unfortunate. He was disliked by a lot of the other prisoners and that is why he was in a special part of the gaol and that is unfortunate. He had no apparent sympathy for those he admitted to killing which is unfortunate. The press built him up. Television made him a celebrity. The publicity continues. There are many more contributors to humanity that deserve our sympathy and understanding. Carl was not one of them. Excellent. Mainstream media is reducing us to characters in a cartoon strip - celebrity appears to be the ultimate aim of life. It is so important that independent media allows voices like yours to be heard. We have to keep looking at ourselves - reality is not just a TV genre. Great angle on the article Andrew. Well done. You're right Andrew. Carl Williams, killer though he was, was deserving of being treated as a human being who was made in the image of God. I found the media coverage of his death and comments like those of Mark Read (who cares that Williams is dead?) totally heartless. If we become a society that treats criminals the way they treat others we will have descended into barbarism. At last a balanced more compassionate article. A lot of people have had a field day with this delighting in the awful way that Carl Williams died. May God have mercy on all of us without exception. The attitude that Andrew fingers is more pervasive than he suggests. For instance, ABC TV carried the news of the recent death of Al Qaeda's Iraqi leader, Abu Ayyub al-Masri, and his associate Abu Omar al-Baghdadi, using words and tone that suggested a complete lack of interest in these people's humanity. The implication was that justice for 'our side' had been served by a well-deserved death. Such attitudes were well-inculcated in a pre-Nazi Germany. A timely article in a time when the media rules. What worries me is that the person or persons who committed this murder, may be ignored, or worse, seen as implements of justice. I feel we need to be more active in challenging the media by writing letters of protest, demonstrating or whatever may bear on much of their ghastly reporting. We could be reverting back to ''an eye for an eye'' mentality, where compassion is at risk. At the end of the day, carl was a son who had a mother and father, and dying in gaol whichever way, is awful. Fantastic article Father. Almost brought a tear to my eye, and more to the point made me analyse my own thoughts on people around me.